Mvix announces their sponsorship of The ASCII Group's IT Success Summit Series and their keynote and exhibit at the Boston event. Sterling, VA, April 20, 2017	(Newswire.com) - Mvix, a leading provider of content-rich digital signage solutions, is proud to announce their sponsorship of The ASCII Group’s IT Success Summit Series. 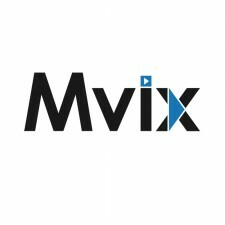 Mvix will exhibit and speak at the third event of the series in Boston which will be hosted at the DoubleTree by Hilton Boston North Shore from April 26th to the 27th. Mvix will be showcasing their content-rich digital signage software, XhibitSignage, which won the 2017 DIGI Award for Best Digital Signage Software. Attendees who stop by the booth will be able to demo the latest release and see how IT service providers can leverage it to easily display and manage dynamic content on their clients’ touchscreen displays, digital signs, video walls, and 4K displays. XhibitSignage, which is subscription-free, has been very effective for digital signage networks with limited resources for content creation. The software includes dozens of content apps and widgets that improve the profitability of digital signage networks by allowing users to easily create, update and manage live content that’ll enrich the customer experience. It’s cloud-based platform, ease of adoption & integration, scalability, and features such as smart playlists, template editor, and comprehensive scheduling have made it a powerful solution for MSPs managing digital signage networks. Mvix continues to invest in the technology, people, enablement resources and support mechanisms that channel partners need to successfully sell digital signage as a service to small and midsize businesses (SMBs). They are renowned for offering turnkey, reliable solutions that meet the business needs of SMBs and make it easier for MSPs and IT service providers to generate profitable, recurring revenue streams. Mvix is inviting its valued partners to attend the Boston Success Summit with a VIP pass at no cost (valued at $1,895) which covers all meals, educational tracks and bonus materials distributed at the event. To register please contact us. For more information, visit www.asciievents.com.